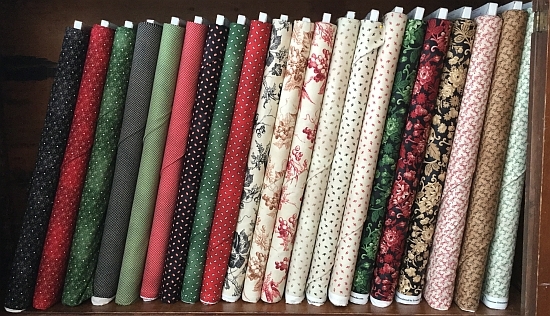 Two new fabric collections...stop in and see them today! "A good red is always a classic, ” says Helen Stubbings, who credits the Coonawarra wine district, famous for its red wines, as the inspiration for her latest collection!" 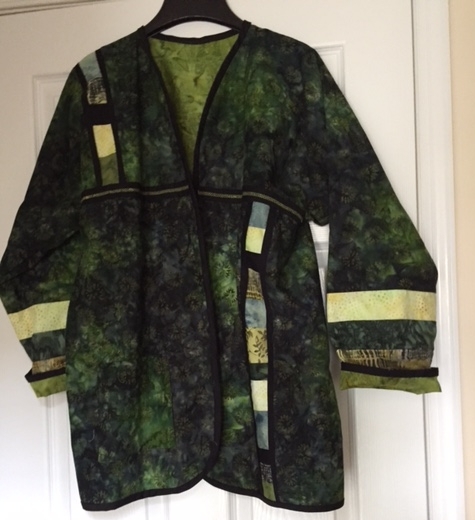 If you'd like to visit our website and see the individual fabrics in this collection, click the picture above or click HERE. 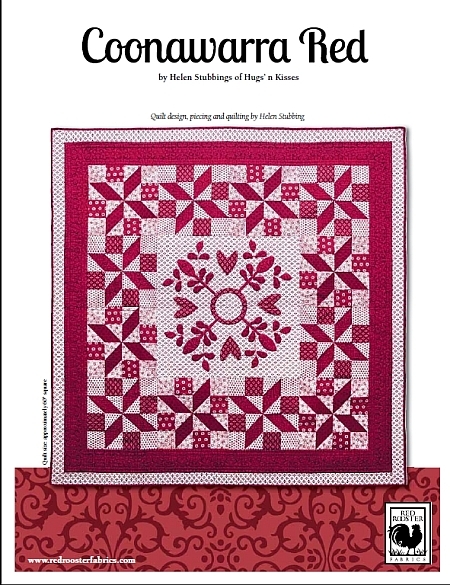 To download your free pattern, either click the image above or click HERE. "Sophisticated, yet elegant holiday motifs make this collection an instant favorite. 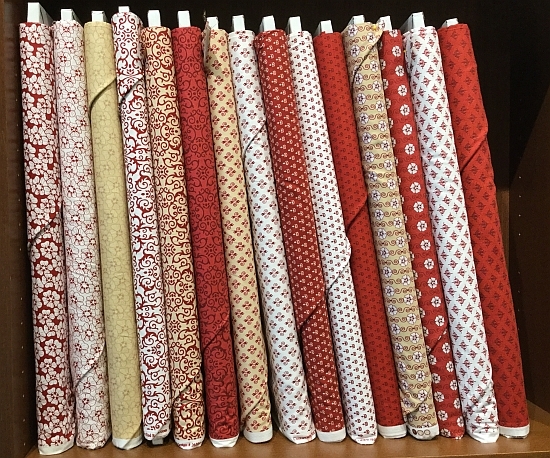 With beautiful creams, reds, greens and golds, these fabrics last well beyond the Christmas season and work well for quilts, home decorating and craft projects." Rotary cut circles from 2" to 10" finished size. 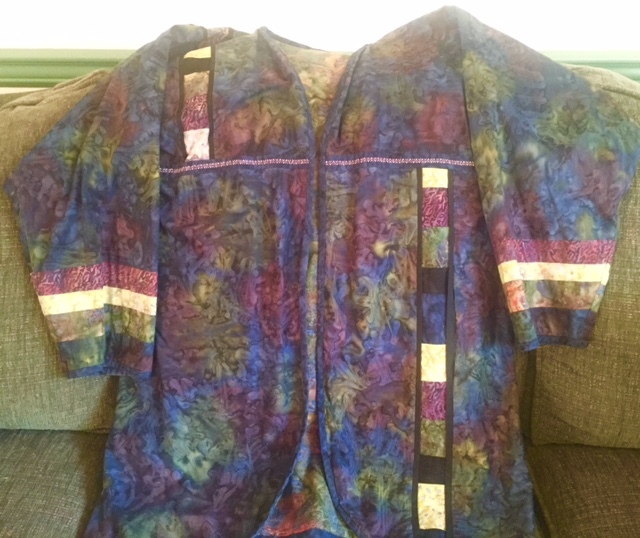 Circle sizes include ¼" seam allowance. 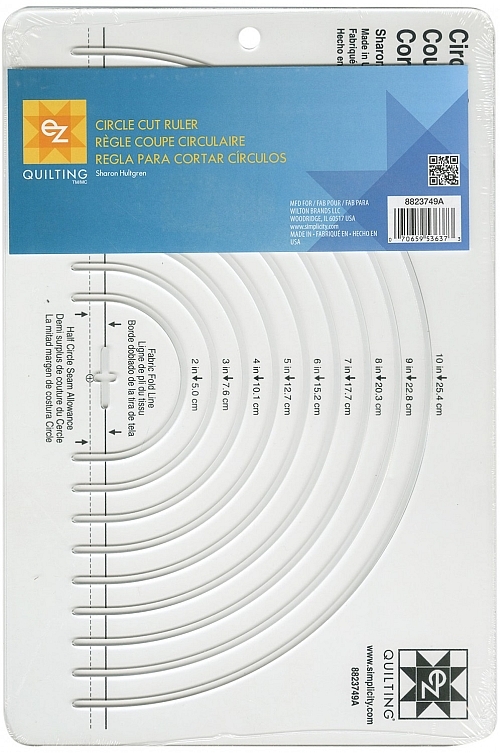 Ruler is placed on the fold of the fabric for perfect circles every time! 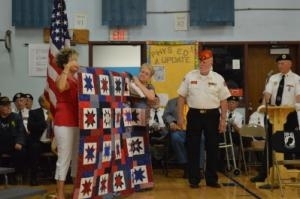 The annual Memorial Day Parade in Palmerton was unfortunately rained out this year but the veterans were honored at the yearly service held at the S.S. Palmer Elementary School. 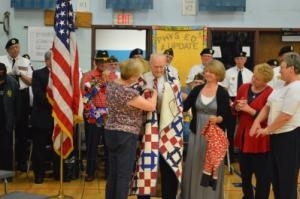 Seven veterans received a quilt from QoV during the service and an eighth will be delivered soon. Kudos to Janet Starner and her Quilting Crows for all of their efforts and for giving our veterans the respect they deserve! For more information about the service and to see the names of the honored veterans, you can read the recent article which was published in the Times News newspaper by clicking on either picture above or by clicking HERE. 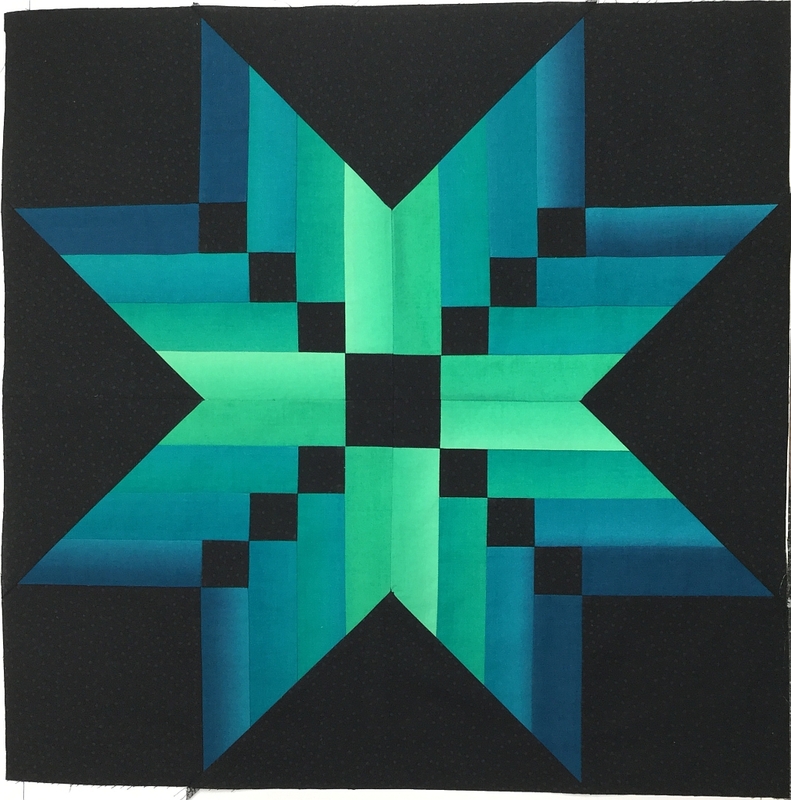 And remember, donations to Quilts of Valor are accepted at the shop and are greatly appreciated!